Professor Roger C. Park attended Harvard College and Harvard Law School, where he was Case Editor of the Harvard Law Review. Between college and law school, he completed military service, including a tour in Vietnam. After graduating from law school, Professor Park clerked for Chief Judge Bailey Aldrich of the First Circuit. He did trial and appellate work for three years with the small civil rights firm of Zalkind & Silverglate in Boston. He also taught as an adjunct in the Political Science Department at Wellesley College. In 1973, Professor Park joined the faculty of the University of Minnesota Law School and taught there for twenty years, becoming its Fredrikson & Byron Professor of Law in 1990. He joined the UC Hastings faculty in 1995 after teaching as a visiting professor in 1994. Professor Park has been the James Edgar Hervey Distinguished Professor of Law since 1998. He has also taught as a visiting professor at Stanford Law School, University of Michigan, Boston University, and Boston College. Professor Park is an author or coauthor of eight books, including the Park & Lininger “Witness” volume of The New Wigmore, first published in 2012. He has written numerous law review articles on evidence law, evidence scholarship, and the empirical study of evidence issues. He is the “content provider” for 20 computer-aided lessons on law that are distributed by the Center for Computer-Aided Legal Instruction. 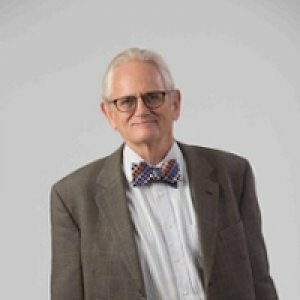 In addition to Evidence and Trial Objections, he has taught or co-taught Civil Procedure, Scientific Method for Lawyers, Legislation, Social Science in Law, Criminal Law, Drug Crimes, and Legal Professions. This paper argues there is little reason for a hearsay ban in the absence of jury trial. (1) The ban can’t be supported on the ground, dubious in the first place, that jurors are incompetent to give hearsay proper weight. (2) Excluding hearsay has little effect when the screener and the fact-finder are the same person. (3) Because of the greater influence of judges on the proof process, there is less danger that lawyers will use hearsay evidence strategically to deprive the trier of more valuable evidence. (4) Because judges can be required to explain decisions, assessing output is an alternative to trying to control input. (5) The value of complicated, detailed exceptions as a check on discretion is reduced or eliminated. Overall, there is a great weakening of the arguments that, in a jury system, are advanced as outweighing the principle that it is best for the trier to have access to all evidence that has probative value. This paper was prepared for presentation at a conference on evidence law reform in developing countries that is to be held in Chicago on Nov. 21-22, 2014. It contains other comments about procedural features of the American judicial system that influence the hearsay ban. It also contains comments on the hearsay provisions of a proposed codification (the Tanzania Evidence Act) that was distributed to participants by Professor Ron Allen, one of the organizers of the conference. Studies indicate that sequential lineups decrease the rate of false alarms at the cost of increasing the rate of lost hits. This paper discusses how policymakers should assess this data, considering measures of probative value and the preference for false acquittals over false convictions. It compares sequential to simultaneous lineups and discusses the compromise position of allowing a second lap to witnesses who do not make an identification after first viewing a sequential lineup. Following an introduction by Michael Risinger, this publication preserves the postings to a discussion list for evidence professors on such topics as relevance, conditional relevance, probative value, inference, Bayes' rule, and likelihood ratios. In Spring 2009, the author used an audience response system in his Evidence class. Students signalled their answers to questions using "clickers." The system promoted active participation and was popular with students. The author explores the empirical evidence of expert proficiency on the sub-task of classifying signatures as genuine or simulated. He concludes that expert testimony on signature identification should be admitted with safeguards. The empirical evidence is not conclusive, but the procedural alternatives to expert testimony with safeguards are undesirable.